In 2001 iTunes arrived on the scene and changed the way we consume music, but it's not until recently that music services have become true challengers. Companies like Spotify, Rdio and Pandora — not to mention Google and Apple — are providing streaming alternatives to the standard methods of downloading music online. With so many choices now available, which service is best for your listening habits? After examining library size and quality, the range of devices you can use to listen, streaming quality, pricing and the longevity of each service, we’ve narrowed down the list to four great options you should be looking at for your music service. The Swedish-based company is the leader when it comes to music streaming services. Spotify allows users to stream music and create playlists for free (ad-supported with commercials) on its robust music library, over 20 million songs strong. The Discover section offers recommendations based on what you and your friends have listened to previously. You can share and subscribe to friends' playlists, offering you another level of music exposure. If you're searching for a curated option, Spotify Radio lets you build stations based on genre, artists or songs using Spotify’s intelligent recommendation engine to predict what you may enjoy listening to. This options allows you six song skips per hour. Spotify's free version allows you to use the Spotify apps on desktop and mobile devices, though they are ad-supported and feature commercials. The free version allows unlimited streaming on your desktop for the first six months; after that, you're shifted to a 10-hour-a-month cap, with a 5-play-per-song limit. The mobile app is limited to shuffle mode (six skips here as well), a recent improvement that grants mobile access to free subscribers’ playlists. 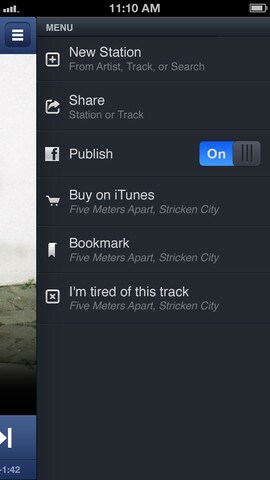 The free version iPad app allows you to play any song in any order, with ads. The paid version of Spotify costs $10 a month — well worth it if you enjoy listening to music on the go without limitations. With no ads or commercials, higher audio quality, the ability to download music to your device for offline playback, no skip limits and full access to the mobile apps (available on every major platform), the premium version represents a major step up from the free edition. It should also be noted that Spotify has secured a streaming exclusive for all things Led Zeppelin, if that’s your interest. If you want your music experience to be all about new tunes, Rdio is the best choice for you. A wide-ranging, 20-million-song library with a heavy indie influence and the best-looking apps are what make Rdio stand out. Just like Spotify, Rdio utilizes playlists, offers a radio option dubbed Stations that will curate music to your tastes and allows you to store music offline. What separates Rdio from Spotify is its search and discovery features, which are leaps ahead of Spotify’s offerings. If you’re looking for a full-fledged streaming service for finding new music, there is no better option than Rdio right now. A temporary free version of Rdio allows you to stream unlimited songs (with ads) from the catalog on the web for six months, but you will need to move to a paid version after that to keep listening to music on the service. While the $5-a-month version gives you unlimited streaming on your desktop, for $10 you get unlimited desktop and mobile streaming (available for every major platform), no ads and (something that no one else offers) the ability to add family members for $5 per person a month. Instead of having to shell out an extra $10 a month for another membership, Rdio cuts that price in half when one member of the family is subscribed to the highest tier. Like Spotify, going the premium route is well worth it for all you get with Rdio. Pandora does one thing and does it very well. If you just want to hit play and listen to music, Pandora is your go-to service. After coming onto the scene way back in 2000, Pandora is still the leader when it comes to online radio. With the Music Genome Project, the best recommendation software in the industry, and more than 70 million active users, Pandora has cemented itself as the go-to online radio service. As its competitors have earned their stripes, Pandora has shown that it does have some flaws. With only 1 million songs from more than 100,000 artists in its library, Pandora maintains the smallest (albeit hand-picked) catalog of all the major streaming services. Unlike the other major services, you can’t search for specific songs or artists, but you can create stations based around those selections. The free (ad-supported) version of Pandora allows you to skip up to six songs per hour but no more than 12 skips per day. Pandora One, the paid version of the service, costs $3.99 a month or $36 a year and removes ads, gets rid of the daily skip limit (the six skips per hour limit still applies), improves audio quality and provides access to the desktop Pandora One app. Pandora is available on every major mobile platform (and some cars) and for a multitude of TVs, Blu-ray players, home theater systems, cable and satellite boxes and even a Samsung refrigerator. Pandora is a great choice for those who want a service that can be set and forgotten, while still maintaining the ability to find and play songs you are sure to enjoy. Unsurprisingly, Apple, the company that changed the music industry with iTunes nearly 13 years ago, has jumped into the next wave of music discovery. With 27 million songs, iTunes Radio has the largest library of any service available today. iTunes Radio is free, but Apple hasn’t mastered song selection just yet. After you select the genre or artist you like, it creates a station similar to Pandora for you to listen to. The service is ad-supported, and you have to subscribe to iTunes Match — which backs up your iTunes library in iCloud, for $25 a year — to remove the ads. The biggest benefit of iTunes Radio is that users may get access to newer songs first, due to the increasingly common practice of launching new music on iTunes before other outlets. The mobile version of iTunes Radio is only available on iOS devices, which represents the biggest downside of the service. iTunes Radio does work on Windows PCs in the iTunes app, but the limited accessibility isn’t great and won’t change any time soon. Combined with a lackluster recommendation engine in comparison to Pandora, iTunes Radio makes it hard to recommend over the old stalwart. This choice is all about personal preference. If you are looking for a radio to play in the background while you work that will learn your likes and dislikes better than the rest, Pandora is the service for you. If you want to hear new music first, iTunes Radio is your best choice. If you love discovering new artists and bands, Rdio is your cup of tea. And if you want the all-around package, Spotify is your best bet. Whichever service you go with, a streaming music service will surely improve your music experience. Check out our chart below for a breakdown of the services mentioned in this article. You have readers all over the world. You might want to mention that many of these music services limit their availability to only the United States and perhaps, other selected countries. I live in Israel. They are unavailable here. I have become such a lover of Spotify Pro, I don’t think I can even stop using it. I love being able to listen to almost any song that exists, whenever and wherever I want and make playlists of songs that I don’t own. I use Slacker Radio and love it but noticed you didnt include it in the list. Why not? When paying for iTunes match, which is $25/year, Apple removes ads from Radio. I noticed that MOG was not mentioned. Unless spotify has had an upgrade, MOG has been streaming at a higher bit rate than any other streaming service. Was it even considered? Yes, MOG was considered and it’s a very good service. 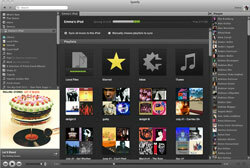 However, Spotify has upgraded its streaming to match MOG’s 320 Kbps, at least for its premium subscribers. Plus, MOG has a smaller library than Rdio and Spotify (16 million vs 20 million tracks) and doesn’t offer mobile listening in the free version of the service. Beyond the bit rate, what else makes MOG your choice? I’m surprised to find such a blatantly sexist ad under your “join the conversation” box on the right side of your page. “League of Angels?” Really? Maybe you have no control over this but you might want to talk to your ad providers about appropriate content. I blocked the ad account so hopefully those ads will stop appearing soon. Unfortunately, trying to prevent these things proactively is very difficult. As we become aware of inappropriate ads (which fortunately is infrequently) we block the accounts. But it’s a never-ending process. Pandora is available for Android, also. If you’re looking for a free alternative, based on music available from YouTube, check http://seevl.fm. Search for music by genre, record label, etc. 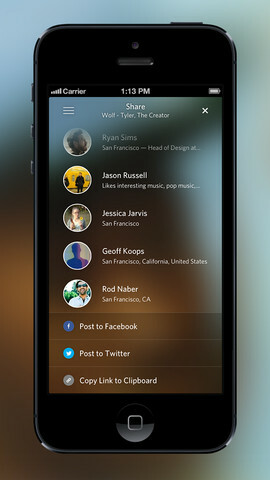 ; discovery relations between artist; and create your profile to get personal recommendations and automated playlists! I have been listening to Spotify for some time and when I listen to anything 70s or before they play so many re-records. I can’t stand it. Do you know of any of the others that do this? I am seriously thinking of going with iTunes radio. So far no re-records on my “Sam Cook” station. With Last.FM shuttering their streaming music service, do any of these services support the importing of listening history? It’d be a great way to prime any given service’s recommendation engine for a new account. Pandora only offers $3.99/month subscriptions now, as they have dropped the $36/year deal. They have grandfathered in older annual subscribers, but if you’re new to Pandora or ever let the annual subscription lapse (like I did,) you cannot get the annual rate. If you are looking for pure discovery with no country restrictions, ads, or user fees, our service Moretrax is worth checking out. Our tests suggest that the quality of music recommendations is higher than the big platforms and since we use Youtube content, it is free to use in any country. We are also launching an API soon. For any interest, please get in touch. Me a use this free music video website with no ads. Tell me what you think of it.